Bai Dou Kou, Black Cardamom, Cardamome Noire, Cardamome de Sri Lanka,Elettariacardamomum, CardamomeVerte, , HuileEssentielle de Cardamome,Cardamomo, Cardomom, Ela, Green Cardamom, Indian Cardamom, Lesser Cardamom. What is cardamon pod (green)? Cardamom is a herb with astrong aroma and sweet flavour. Best quality cardamom pods are reaped while still immature and sun-dried to keep its brilliant green colour. Green cardamom cases are often hard to findalso costly. Cardamon pods are fundamental to of the Middle East and Scandinavia cooking, frequently used as a part of baking dishes. In regions of the Western world, cardamom pod is a basic sausage ingredient. The pods can be used whole or split when cooked in Indian significant meals, for example, pulses. 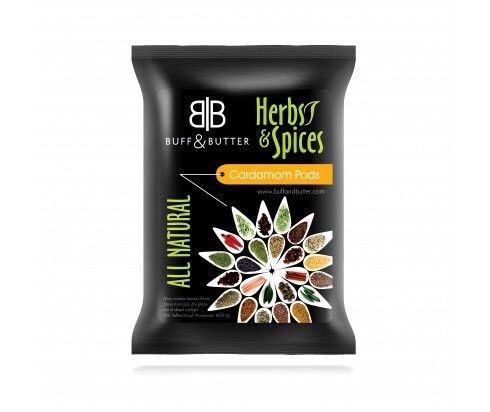 When slightly crushed, cardamom pods are used to flavour goulashes, rice, stew and curries. To improve sweet dishes, cardamom pods can be included in ice cream, rice pudding or sprinkle them over fruit salad. By adding thecrushed pod to the cooking pot as the pod will break up while giving a touch of additional flavour to the dish. Improves blood circulation in the lungs (which makesCardamon great home remedy for bronchitis and asthma). Cardamondetoxifies the body from caffeine. Purifies our kidneys and bladder. Cardamom in India is known as the Queen of spices to black pepper's title as the King of spices. The tall plants developed on ranches in Guatemala or India, flower for 8-9 months of the year. Every pod matures slowly and must be plucked when it is 75 % ready. After harvest, the pods are well washed and dried. The strategy for drying manages the final colour. Green podsare drying for one day and night in a warmed room.